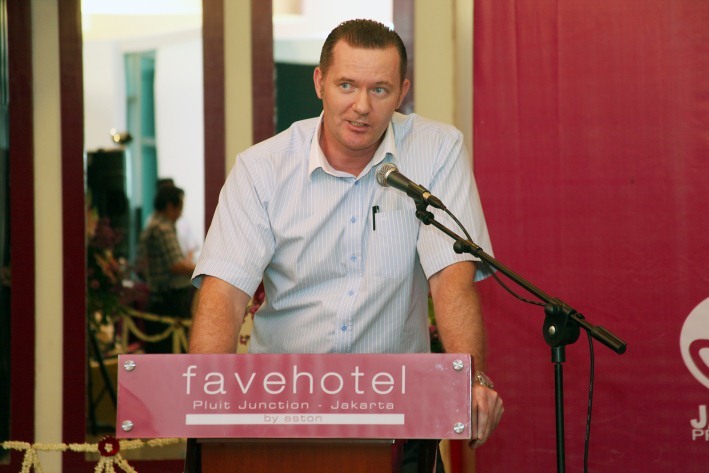 Jakarta, August 16th, 2012 – Aston International opened its eleventh trendy select service favehotel, the favehotel Pluit Junction- Jakarta. The new “fave” occupies a prime spot inside the popular Pluit Junction Mall in North Jakarta. Pluit is one of Jakarta’s fastest developing areas and offers easy connectivity to the toll road system, Jakarta’s International Airport, Ancol and on of SE Asia’s busiest commercial ports in Tanjung Priok. With 72 fun, fresh and friendly rooms the new favehotel Pluit Junction aims to become the areas favorite economy class hotels benefiting greatly from being inside a happening mall which enables hotels guests to enjoy the malls facilities right at their doorstep. Guest rooms are equipped with large LCD televisions, top of the line beds and quality cotton bed linens and duvets, free and truly high speed WiFi and feature the fave’s trademark design giving them an energetic edge.